[Reprint] Japanese food culture WASHOKU to the world! 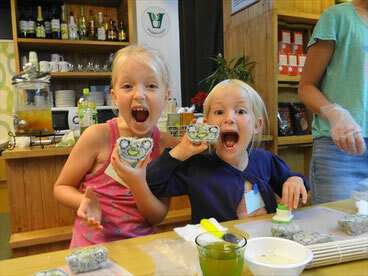 Japanese food culture " WASHOKU " to the world! It is a reprint of the contents described when doing a project of crowdfunding at Ready for in October 2016. It is nice to write you. I am Shinbo, a president of Smile Link Partners, Inc..
My career started from the food trading company and was in charge of soybeans. You might not have any image about soybeans, it is the ingredient of Shoyu(soy sauce), Miso(soybean paste), Tofu(bean curd) and Natto(fermented soybeans) . It can be said that soybeans is one of the key ingredients of WASHOKU. I jumped into the food industry to fulfill my dream “Connecting Hearts, Creating Smiles!” but it was totally different that I thought. Oligopoly was advanced, and the food additives were used to maintain the quality under the food safety and security. The industry major cornered the market of their ingredients. The management of the miner food enterprises which have supported traditional WASHOKU for a long time became severe. They fell into the environment of their impending bankruptcy if they did not give priority to price over taste. On the other hand, WASHOKU was booming abroad. The number of visitors to Japan is increasing constantly, and new market is formed by supporting of the government. 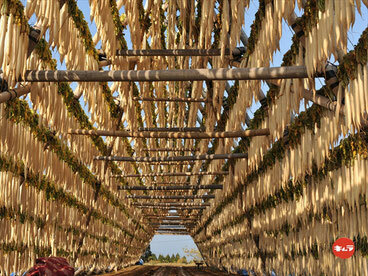 Radish tower at Tago in Miyazaki pref. Many of small companies are trying an entry into it, but also many of them doesn’t reach, because not a few of them have lack of management resources, such as human resources, budget or information. I realized this is my mission to supple the resources which were short in the medium and small-sized company to make structure of winning a market. I acquired MBA and the qualification of the food analyst to supple right knowledge about a meal and food culture to realize my dream “Connecting Hearts, Creating Smiles!”. I also belong to “The Washoku Association of Japan” as a place to build human network, spread information about the Japanese food culture -WASHOKU- and activity all over the world day by day. In this project, I build the platform centering on Japanese ingredients on the Internet. We have restaurant or recipe searching on site relating to food, but there is no site centering on ingredients for the moment. It is not the encyclopedia of ingredients. It is a site accumulating the geographic and time data concerning ingredients. 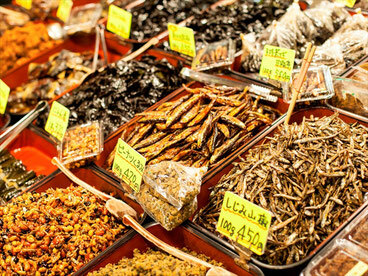 For example, the place where ingredients called A are made, you can buy, and you can eat. New communication is established by position data of tourists and consumers.Communication is formed, new information is sent to. By repeating it, position data and time information are accumulated. 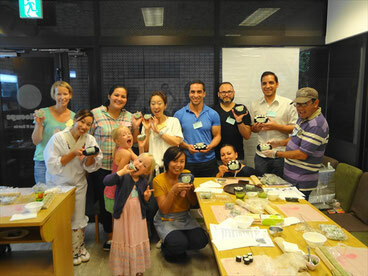 I would like you to know and be interested in traditional ingredients or the unique food from the various parts of Japan not only the Japanese but also the visitors to Japan at first. Then, I’m happy if you collect and spread information about the ingredients widely, and make your own special memory of your stay by experiencing ingredients (you find, you eat, you cook/prepare it! I’m aiming to make a platform which many people communicate thorough Japanese ingredients and the ring of the smile opens. Both makers and consumers are happy in the future. What can we do to hand traditional taste down to posterity? 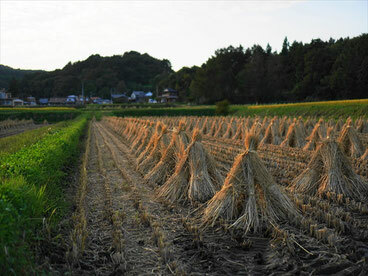 Rice field in Iwate pref. “Hand the tradition” is not only handing tradition and a technique from the past. I think that we need to evolve these to the style the market accepts and keep updated to our lifestyle. Two or three companies should gather if they cannot do it in one company. Furthermore, more companies gathered, that make power to archive something new. I make the basic place which has collecting system of people and information on the Internet and create new innovation. So "genuine taste" continues to the next generation. We can't help smiling when we eat delicious food. You know this reaction is common throughout the world. It is said that it is difficult to secure the food enough to satisfy all population in the present time. This situation will become more severe when population continues increasing. I would like to tell you that the solution is not to produce food on a large scale. It is not a mistake to produce food on a large scale and consume all. But at the same time I don’t think it is the correct way to make a lot for price competition or keep laying in a stock of ingredients cheaply. Wisdoms and techniques of WASHOKU which our predecessor created are based on “MOTTAINAI(wasteful)” mind. It has developed because they try to eat non-edible food as it is by using power of nature, and furthermore to make it delicious. 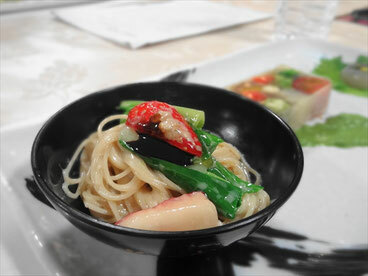 Since WASHOKU is rich in dietary fiber and low in fat, you can supply the nutrient required in a low calorie and will be satisfied with eating less than other meal. In addition, we respect the natural taste of raw materials, we don’t use too much seasonings. 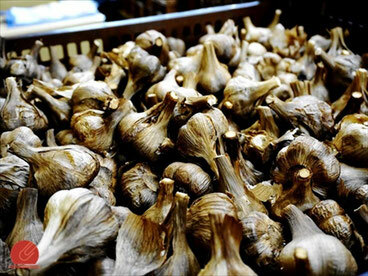 If people are interested in WASHOKU through Japanese ingredients even little by little, they understand “MOTTAINAI” mind. I believe our way of thinking for WASHOKU leads the world to peace. Please share this message, push like button and support this project, if you love. ©2015-2017 Smile Link Partners Inc. All Rights Reserved.